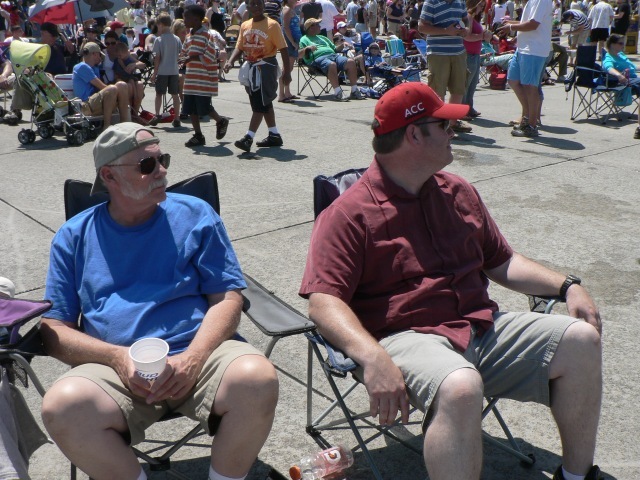 At his suggestion, we became support participants in the Oregon Bike Ride over 10-15 years — in which we spent two-week stints in the summer with Dave as Wagon Master. We saw parts of Oregon we probably never would have seen except for this experience. It was a wonderful experience — as well as fun. years — during the happy and sad events in our lives. During that time there were costume parties and bar-b-ques, and pizza parties, and pot lucks — with lots of laughter and jovial teasing. So many remarkable years. In these later years contact was mostly by e-mail, as Dave and Sam journeyed from coast to coast in their beloved Cygnus, with occasional breaks to Bend. Then it was pot-luck time and visiting with old friends, again. One canoe trip in the early days was particularly memorable. We, canoe novices, were invited on an overnight campout, along with some of Dave’s friends, to oar three canoes into the far reaches of Sparks Lake, where we found a lovely isolated beach. After darkness engulfed us, and with no moon — just the clearest Central Oregon starry night sky — we rowed out into the center of the lake. The lake was so still it became a mirror, reflecting the stars and snow-capped mountains, and it felt as though we were floating in the universe. As close to a spiritual experience as one could come. Surely there are more beautiful biking trails for you. 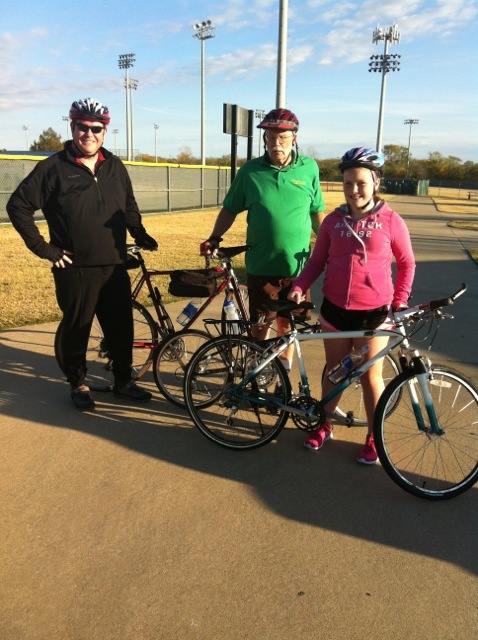 We’ll be thinking fondly of you as being on one of your extended bicycle trips. 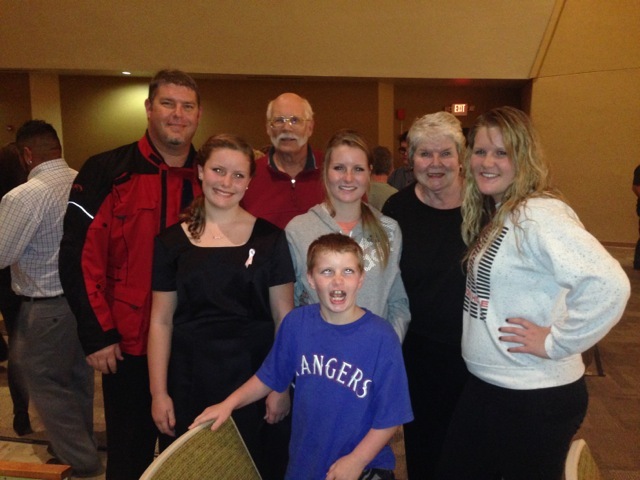 We were so blessed to spend so much time with Dad. From the time he and mom hit the road in 2005 in Cygnus, the Bluebird Wanderlodge until his death, we were privileged to share our lives with him. We would get to spend the Christmas holidays with them parked in our driveway every year until they sold the bus. After that, they moved close to us in New Bern, NC and later in Arlington, TX. Mom and dad were faithful in attending all of the kids’ performances and many of their sports games. They came to our home for holiday meals and we went to their home just as often. I relied on dad to help me with my chores around the house and was able to help him and mom with things around their place. 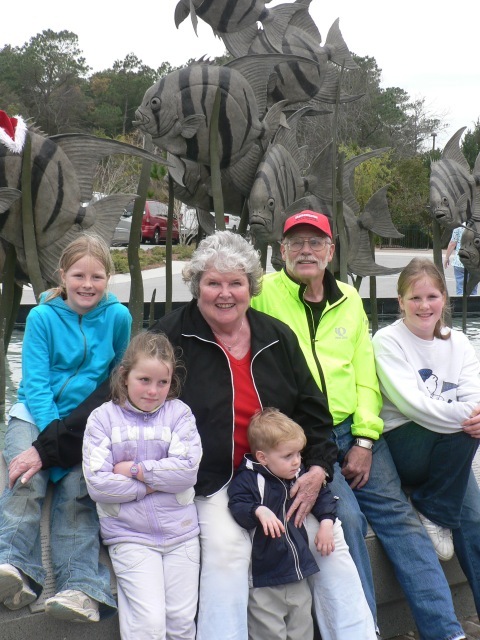 The last 8 years or so were so formative for my kids and they grew up with Gramma Sam and Grampa Dave as regular and important parts of their lives. 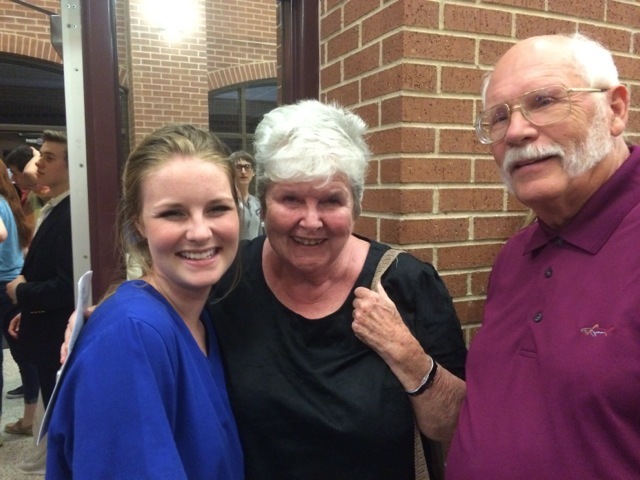 Mom and dad came for Becca's performance in Dracula! She was the nurse and had some great lines! 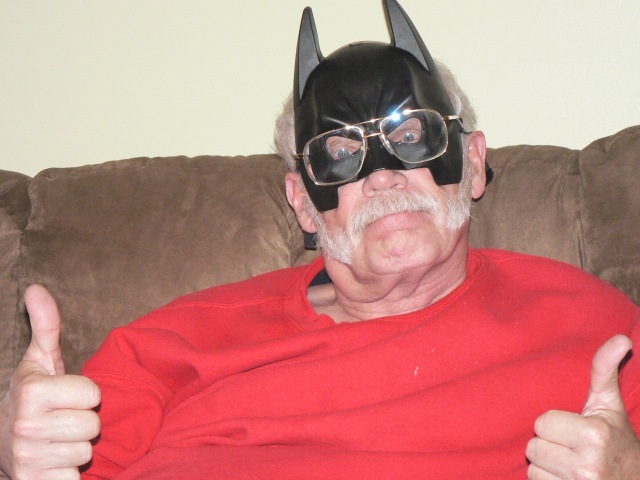 This is also the last photo we have of Dad, taken just 4 days before he died. Of course you know... this means war! 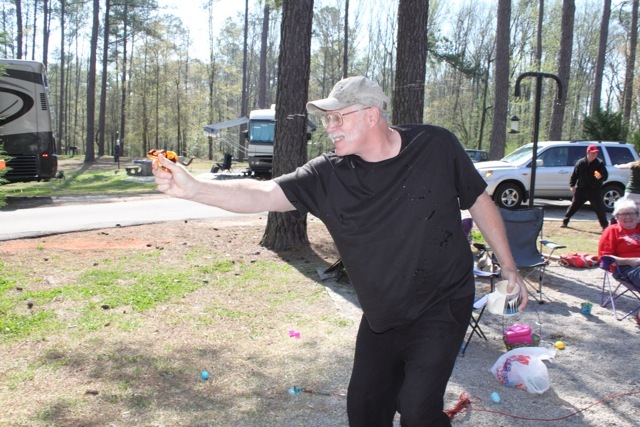 E-P-I-C squirt gun fight with me, dad, and the kids! Easter weekend, 2010 at General Coffee State Park in Georgia. Grampa clowning around with Katie at General Coffee State Park in Georgia in 2010. We drove down to camp with them over Easter weekend. Had such a great time! February, 2005. 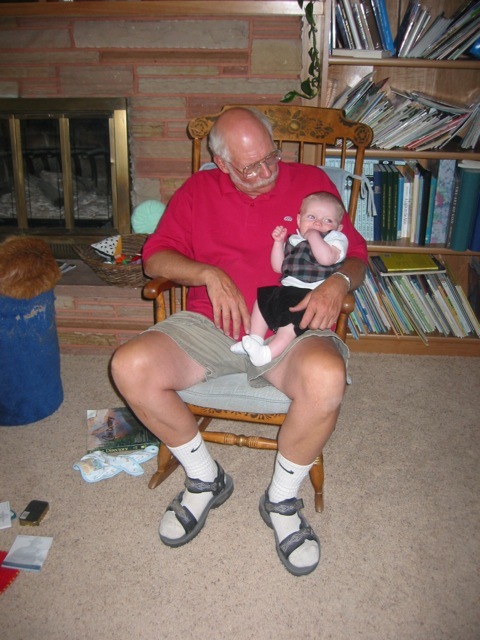 Xander enjoying some one-on-one with Grampa Dave. 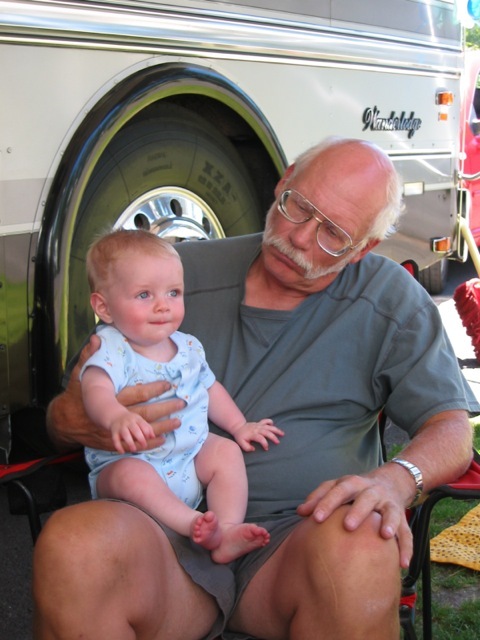 Xander hangin' out with Grampa by the bus in Logan (March, 2005). Mom and Dad in Logan in January, 2005. 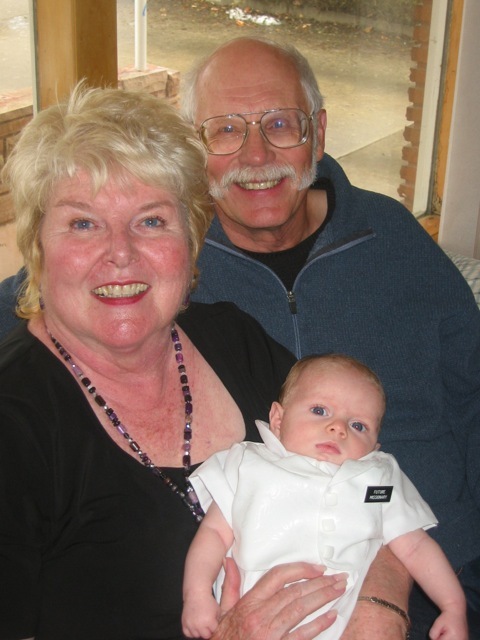 Xander was blessed in church that day and is wearing his "Future Missionary" name tag. 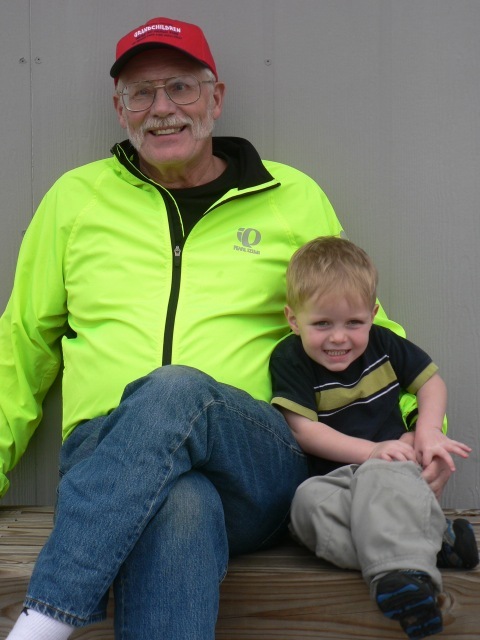 Xander always lit up with a big smile when Grampa was holding him. Mom and dad enjoying the attention at Edith Bowen Lab School's Grandparents' Day in March, 2005. 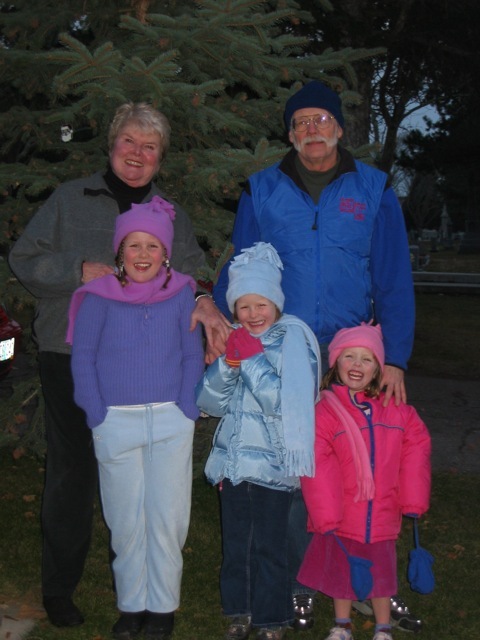 Mom and dad joined us for decorating the tree next to Olivia's grave for Christmas in 2004. Mom and dad were great sports and went to Becca's class at Edith Bowen Lab School, which is part of the College of Education at Utah State University. 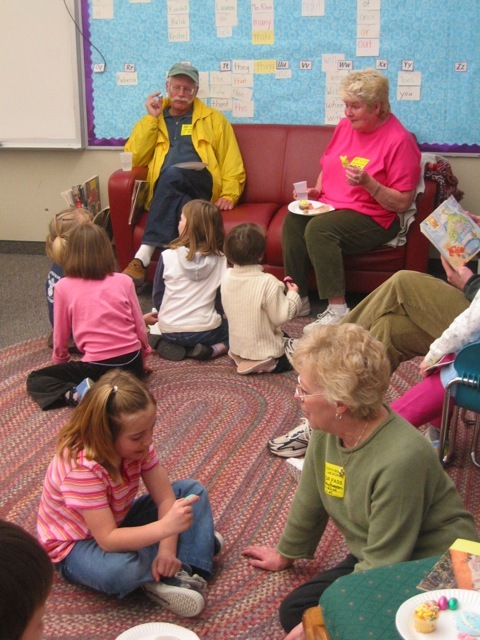 They took part in Grandparents' Day in March, 2005. As you can see, dad was quite popular with the ladies! 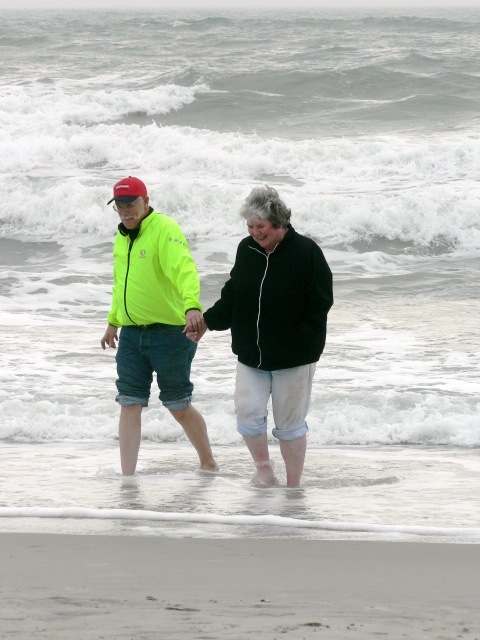 Enjoying a brisk day at the beach! I'm sure Xander's looking at dad and thinking "What the heck???" 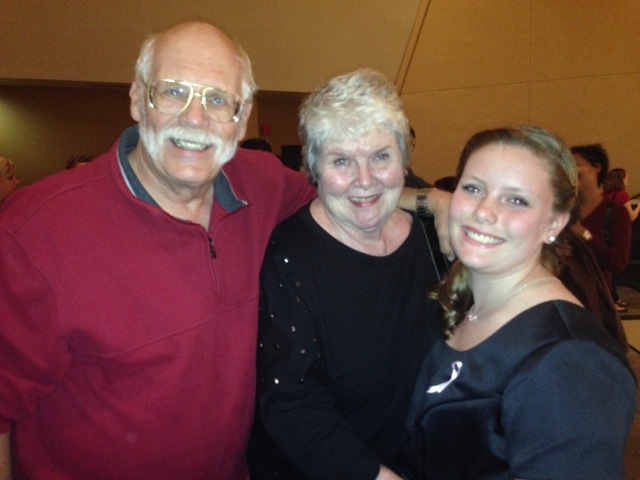 Katie and her Grampa and Gramma. Big choir performance at the district Center for the Performing Arts in 2013. 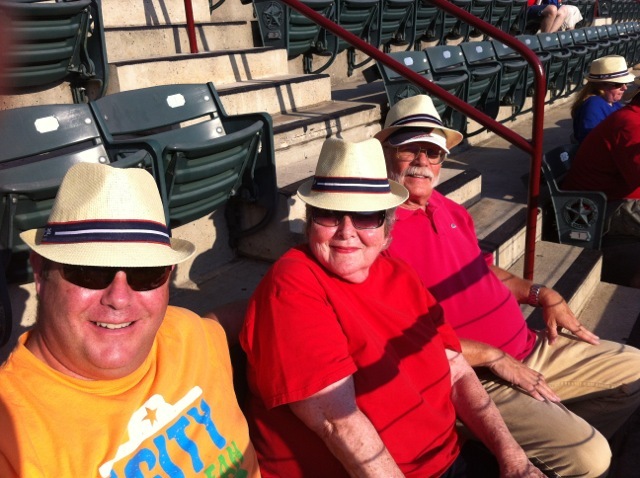 Grampa Dave and Gramma Sam were so good to come to the kids' games. 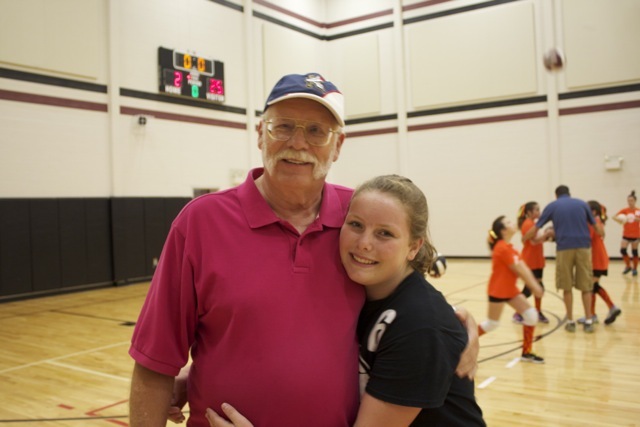 Katie loved her Grampa Dave! 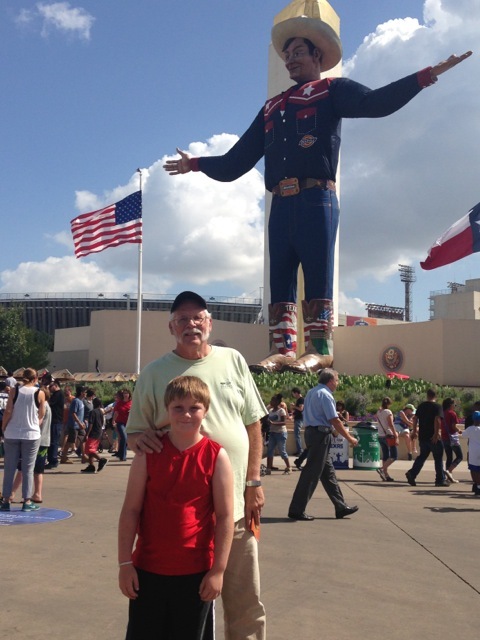 Dad wanted to go see Big Tex (Mark II) at the Texas State Fair this year (2014). He's the big guy in the background wearing size 42 cowboy boots! 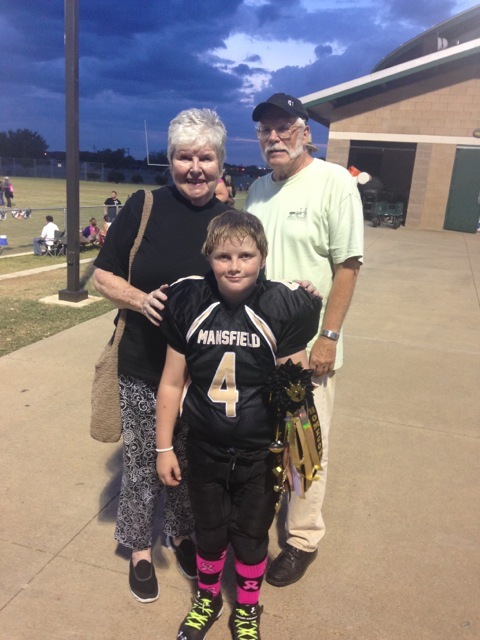 Mom and dad came to witness Texas Pee Wee football in all it's glory! Homecoming pep rally with mums and garters! Katie and I went riding with dad. We really enjoy the linear park trail which connects all the parks in Mansfield with a nicely paved riding/running trail. 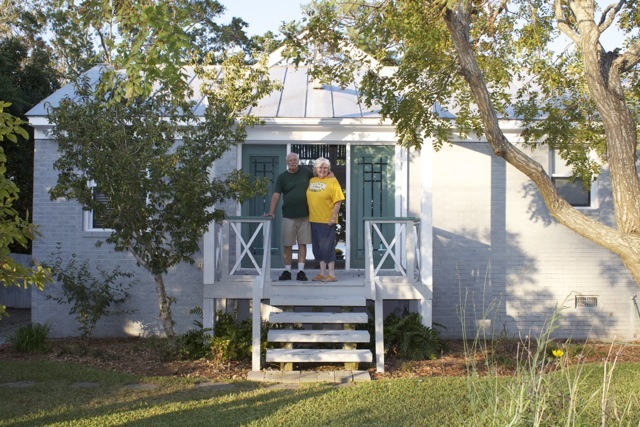 Mom and dad on the front porch of their riverfront home in New Bern. Lovely place with a fantastic back yard going right up to the Neuse River. For Christmas 2011 Xander gave dad this sign to put in the garage, above his work bench. It is still there, prominently displayed! 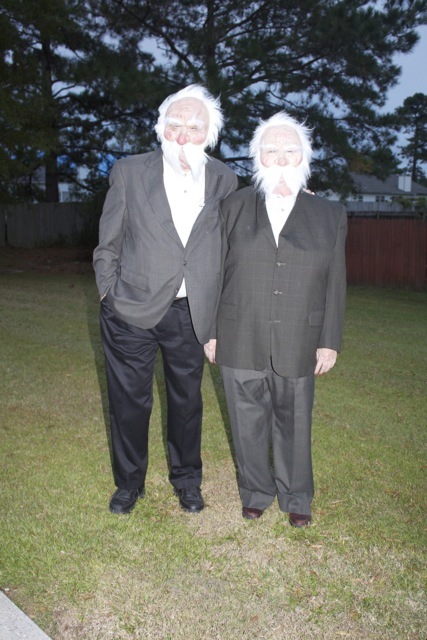 Mom and dad showed up to our church's trunk-or-treat party dressed like this! They didn't get the "no masks" memo and were promptly stopped by a concerned mother who had absolutely NO idea who these two could be! 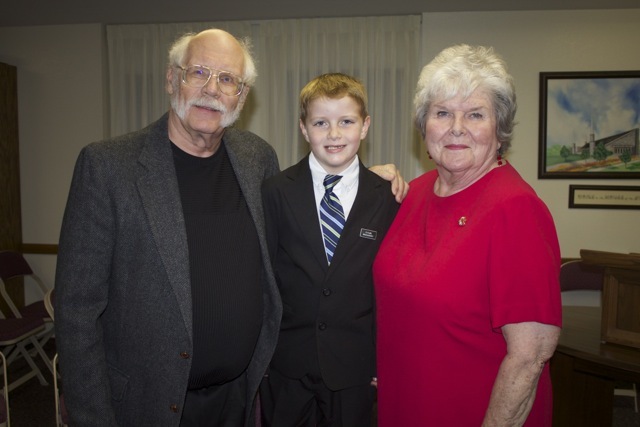 Grampa Dave and Gramma Sam with Xander at his baptism in January, 2013. 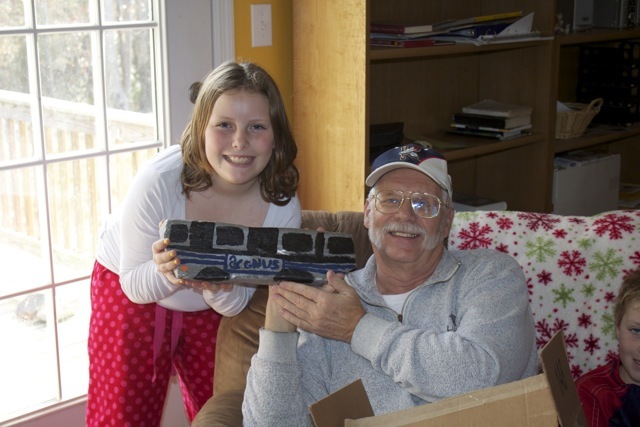 Katie gave Grampa Dave a hand-painted Cygnus rock for Christmas in 2011. I got a hand-painted Vanagon rock! 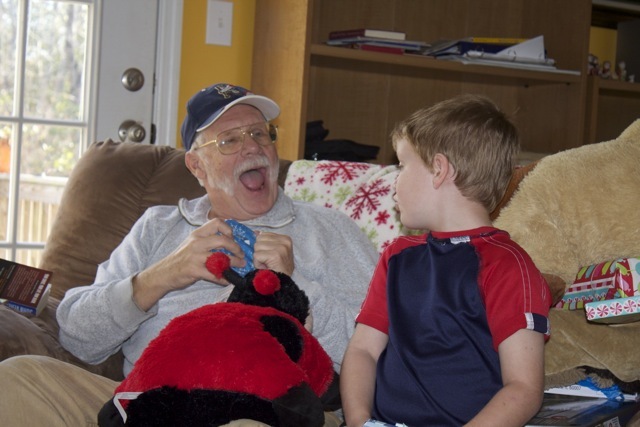 We loved having Grampa Dave and Gramma Sam over on Christmas morning whenever they were near. 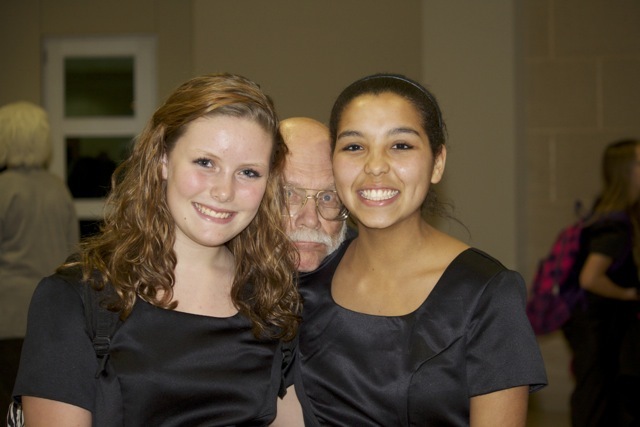 Grampa Dave photo bombing Katie's pic after her choir performance. Gramma Sam and Grampa Dave went to all the kids' performances. 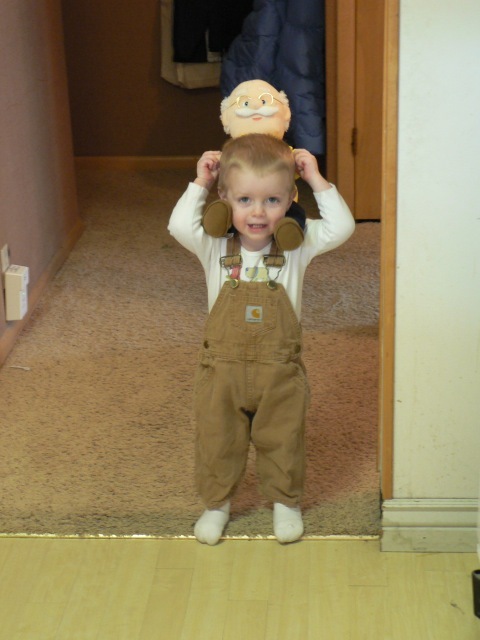 Xander used to carry around this doll that Gramma Sam and Grampa Dave gave him. 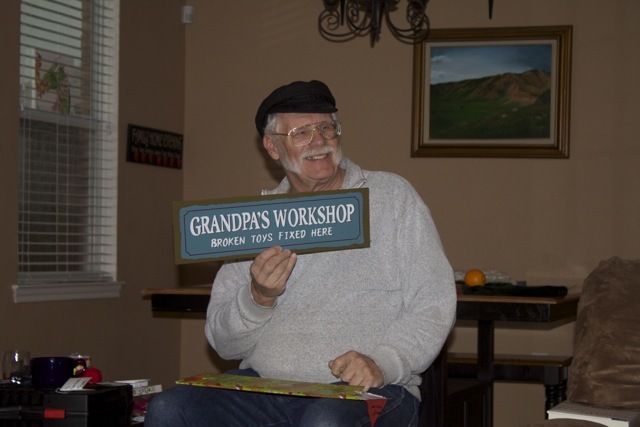 It looked just like Grampa Dave, but it spoke Spanish! Dave and Sam at Atlantic Beach, NC in November, 2008. 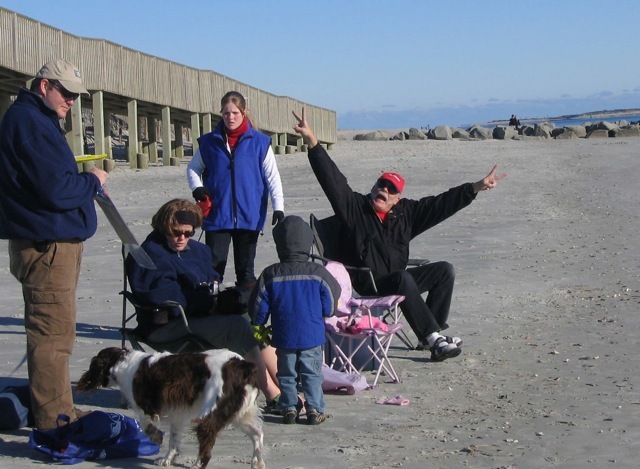 Dave and Sam enjoying the fall weather at Atlantic Beach, NC in 2008. 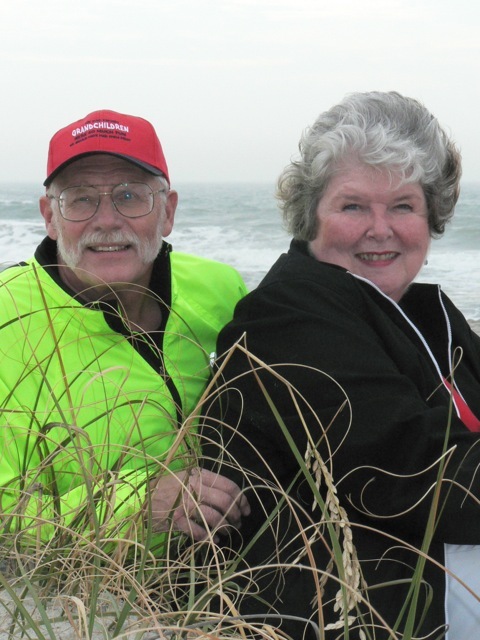 Gramma Sam and Grampa Dave at Pine Knoll Shores near Atlantic Beach, NC in 2008. Xander's favorite picture of him and Grampa Dave, at Pine Knoll Shores Aquarium near Atlantic Beach, NC in November, 2008. 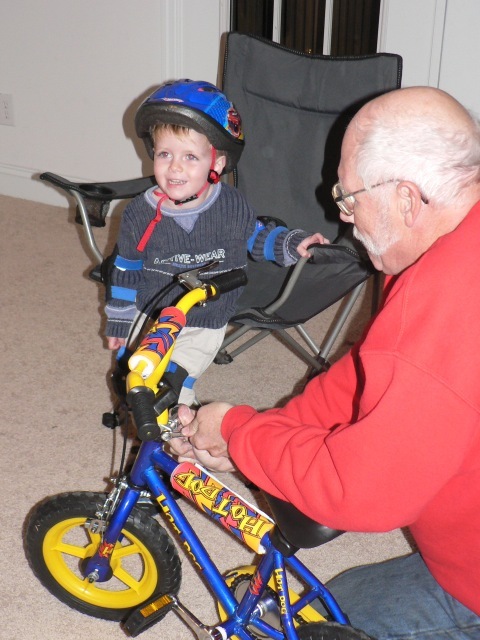 Dave hooking up the next generation cyclist. Trying on Xander's batman costume. 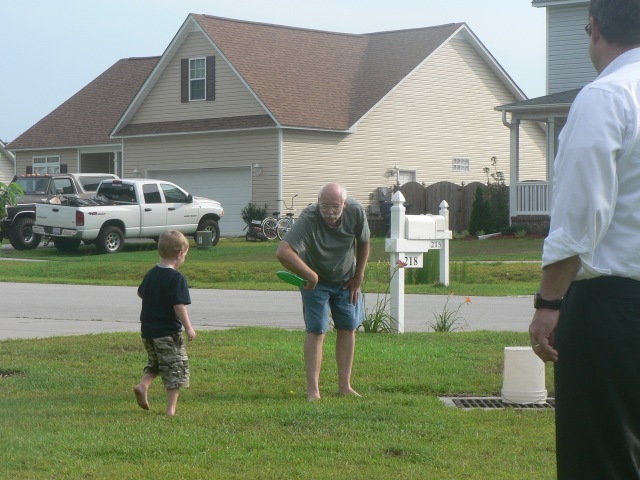 Dave teaching Xander how to throw a frisbee.